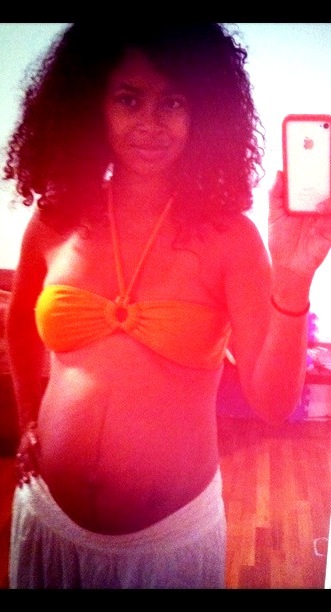 So I am now 37 weeks pregnant which is considered "term" in the medical world. This means that even though a full pregnancy is 40 weeks, I could technically go into labor at any time now and my docs wouldn't do anything to prevent it. The baby's lungs are developed and pretty much everything is in place for him to live outside of my body. So now I'm just waiting and hoping that my little man decides to make an appearance any time now. I want my body back! Here are a couple 37 wk pics I just took with my iPhone on a whim. Please excuse the tired, puffy, preggo face. Yay, you look great! I know you are ready to be done! I surely was. Both came at 39 weeks on the dot for me. I thought the myth was that the second baby comes earlier, but not true for me. Sidenote: what kinds of activities do you do with your toddler during the day? I'm running out of ideas to keep mine busy. Awww mannnn, don't tell me that! I'm banking on this one coming early! My son went a week past his due date! Me and the kid go to the pool about 2-3 times a week for a couple hours. It knocks him right out. haha We're going to start going to story time at our local library too. How tickled am I to find you again. I've followed your posts and such since the days of LHCF. Loving the blog. Hopefully this one comes earlier for you, lol. It was just a heads up in case he doesn't though. I'd go to the pool more during the day if it weren't always 100 deg. My little one can't be out in that. I've read that stretchmarks are genetic and am one of the lucky ones as well. Now I just need to tighten this last bit of flab. Sigh, but the 2 of them make me so lazy. All belly! You look great! You wear pregnancy well. Alas, we all can't be as fortunate. You are so gorgeous! Love your blog. 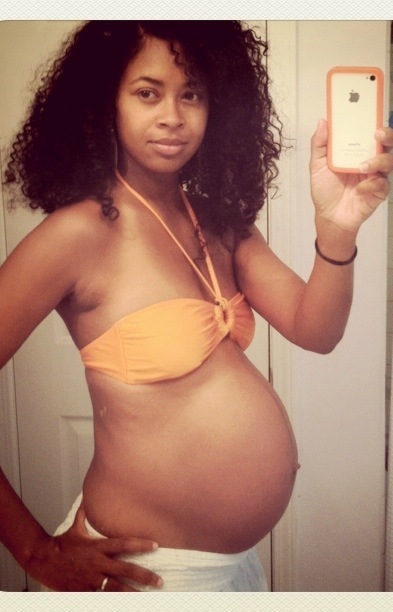 How did you stay so fit during pregnancy? All you had was a belly. :) Can you please do a post on eating habits/workout regimen that you incorporate in life? I'm interested in hearing about that. Thank you!